Jeff's ponderings: Submit to governing authorities? I have really enjoyed your Jeff's Pondering face book post. I read the last one and thought it enlightening, but I have one question. You brought up how we need to submit to government and all that, but what about when the the United States wanted to be free from England and what they wanted for the colonies? Are you saying that this was wrong, and the leaders then should have just obeyed England? Then there is also Libya, Syria, Egypt, and many other countries. Is it wrong for them to have sought freedom, or what their version of it is? I'm just kinda wondering where the line is, or if there even is one. Excellent questions! I asked Jacob's permission to attempt to answer on the blog itself, and he was gracious enough to say yes. So here goes. So the Christian citizen is doubly charged to speak out in support of the government's good, even if that means opposing a specific action or policy of the government in order to work for its greater good. Note that this is not license for revolution but rather for outspoken political action when it is necessary. "The Christian is neither obliged nor able to examine the rightfulness of the demand of government in each particular case. His duty of obedience is binding on him until government directly compels him to offend against the divine commandment, that is to say, until government openly denies its divine commission" -- meaning its God-given authority as stated in Romans 13 -- "and thereby forfeits its claim. In cases of doubt obedience is required; for the Christian does not bear the responsibility of government. But if government violates or exceeds its commission at any point, for example by making itself master over the belief of the congregation," -- Bonhoeffer seems to have in mind the Nazi practice of dictating theology to the German churches in the 1930's and early 1940's -- "then at this point, indeed, obedience is to be refused, for conscience' sake, for the Lord's sake. It is not, however, permissible to generalize from this offence and to conclude that this government now possesses no claim to obedience in some of its other demands, or even in all its demands. Disobedience can never be anything but a concrete decision in a single particular case ... Even an anti-Christian government is still in a certain sense government" (Ethics, p. 342-343). Again, you can hear Bonhoeffer, whose major concern is to live faithfully as a follower of Jesus Christ according to the clear word of Scripture, rejecting revolution and preventing zealous believers from claiming the error of the state as license for a general uprising. At the same time, he acted against his own government and specifically against Hitler. In conversations with his closest friends and family, also part of the conspiracy, Bonhoeffer "used an example of a drunken driver killing pedestrians on a main street ... He said it would be the responsibility of everyone to do all they could to stop that driver from killing more people" (Eric Metaxas, Bonhoeffer, p. 327). Bonhoeffer had a keen sense that while the believer may be called to sacrifice his own life for the sake of his pacifist ideals, when it comes to protecting a neighbor, one may be called to a greater responsibility. "The American democracy is not founded upon the emancipation of man" -- as the French Revolution attempted -- "but, quite on the contrary, upon the kingdom of God and the limitation of all earthly powers by the sovereignty of God ... American historians can say that the federal constitution was written by men who were conscious of original sin and the wickedness of the human heart. Earthly wielders of authority, and also the people, are directed into their proper bounds, in due consideration of man's innate longing for power and of the fact that power pertains only to God" (Ethics, p. 104). Now we have the basis to at least begin considering Jacob's questions and trying to draw out some line for responsible resistance to the government, recognizing as Bonhoeffer insists not only the sin of our government but also our own sinfulness, not only our government's inappropriate lust for power but also our own insatiable lust for control, or at least for influence, for power. First, it is interesting on the basis of these quotations to reread the Declaration of Independence. Jefferson and the founders were at great pains to list the specific offenses and ways in which they had tried to correct them within the channels of the British government. Furthermore, they appeal to the authority of God over human governments. Granted, this is not necessarily a Christian supposition, but rather a sort of naturalistic theology that, at any rate, recognizes divine sovereignty over human affairs. Second, it is also worth noting that the colonies each had their own government, and it was the collective authority of these governments that rebelled against King George III. This and other excellent points are made in a blog by Jesse Johnson of Springfield, VA. The American Revolution was not a mob of individuals rioting for human rights, but rather a well-reasoned group of leaders from the various colonies debating together and seeking the best course of action for the collective good of their citizens in the face of oppressive policies from their overlord. Third, in the interest of honesty, let's recognize that it's very difficult for us as Americans to think or speak critically of our own origins. We have been deeply conditioned to see the American Revolution as an ultimate good, and the possibility that Christians should have resisted the call to arms in 1776 fills most of us with uneasiness. We are entirely too close to this situation to be objective. It is instructive, though, to use the tools of our tradition to help us weigh these questions. Voices like Bonhoeffer's are certainly helpful. Another useful tool is the tradition, as old as Augustine at least, of "just war theory." This teaching says that there are circumstances under which states are justified in going to war. The question to ponder is, does the American Revolution qualify as a just war? Read the wikipedia article linked above and consider for yourself. As I look at the criteria of various theologians throughout the ages, the strongest answer I can come up with is "probably." Two questions remain. First, what if Christians in the American colonies had not chosen to go to war during the revolution? My guess and my hope is that through less violent means including civil disobedience, eventually (though probably not as quickly) America would have gained her independence. Second, what does this say to the Arab Spring and the protests that have swept the Middle East in the last year? Sadly, most of these protests have been more like the humanist violence of the French Revolution in 1789 rather than a reasoned revolution begun by legitimately constituted authorities. At the same time, we need to acknowledge that the totalitarian governments in most of these countries have effectively eliminated any structures that might provide a nucleus of resistance. It is worth noting as well that these protests are not all of one sort. The Egyptians have had a very different experience, for example, from the Syrians. Christians in both countries have been largely at the margins of the conflicts, hoping for peace and good order to erupt so that they might get back to their highest priority, that of being Christians. 1. Jesus-followers are called to submit to the government, to obey it as far as possible. 2. When government calls the believer into direct disobedience to God, in that specific instance the believer needs to disobey the government as a witness to the government's own nature as an institution created by God. 3. There is no license in Scripture for revolution, but the Jesus-follower may be called to act against his or her own government to preserve the life of the neighbor. 4. Any action taken in disobedience must be taken in great humility, and in the awareness of the devious and pervasive nature of sin, in ourselves as well as those we oppose. 5. As far as possible, action against an oppressive government should be taken through legitimately organized channels. 6. We do not simply protest against a government or a leader; rather, we stand up for the values and policies of government that provide for good order and basic care for the common good so that Jesus-followers can have freedom within society to proclaim the good news of God's love in Jesus. Jacob, thanks so much for asking -- I have tremendously enjoyed thinking and reading my way through some of these partial answers to your excellent questions! P.S. If you haven't had enough on this topic yet, click here to read a 1750 essay and some of the history surrounding it. Rev. Jonathan Mayhew preached, wrote, and taught his way through Scripture (including Romans 13) specifically dealing with British tyranny in the American colonies. 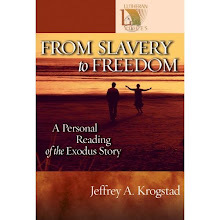 Historically and biblically, it's well worth reading! Election 2012 -- the Mormons win!